Questions about Kichler Lighting 65387? 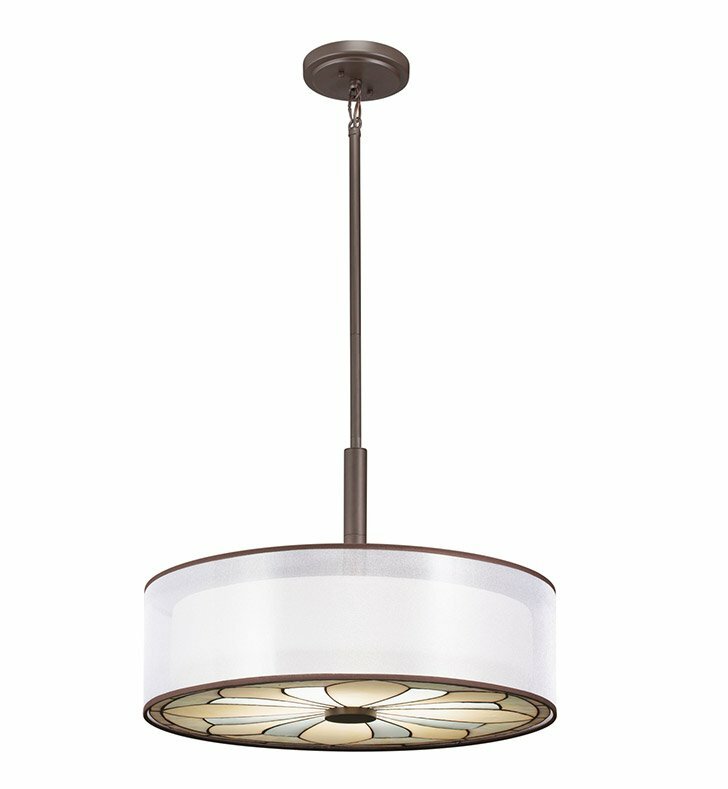 Clean lines and elegant accents make this convertible 4 light semi flush ceiling fixture or pendant from the Louisa collection memorable. The classic Olde Bronze finish, as well as the Art Glass and White Organza detailing, will combine to create a refined highlight for your home. Dimensions: H 17 1/4" x W 22"